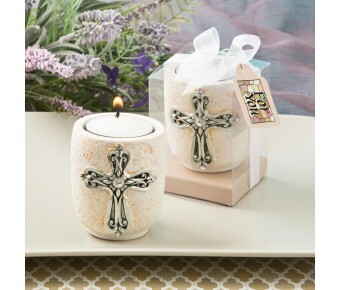 A beautiful tealight votive with a sparkling cross will add ambiance to your event tables and thrill your guests! 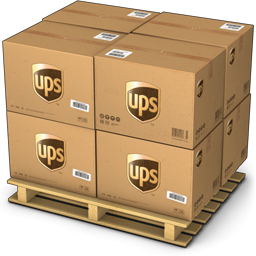 Offer your guests a stylish and graceful favor that celebrates their religious beliefs. 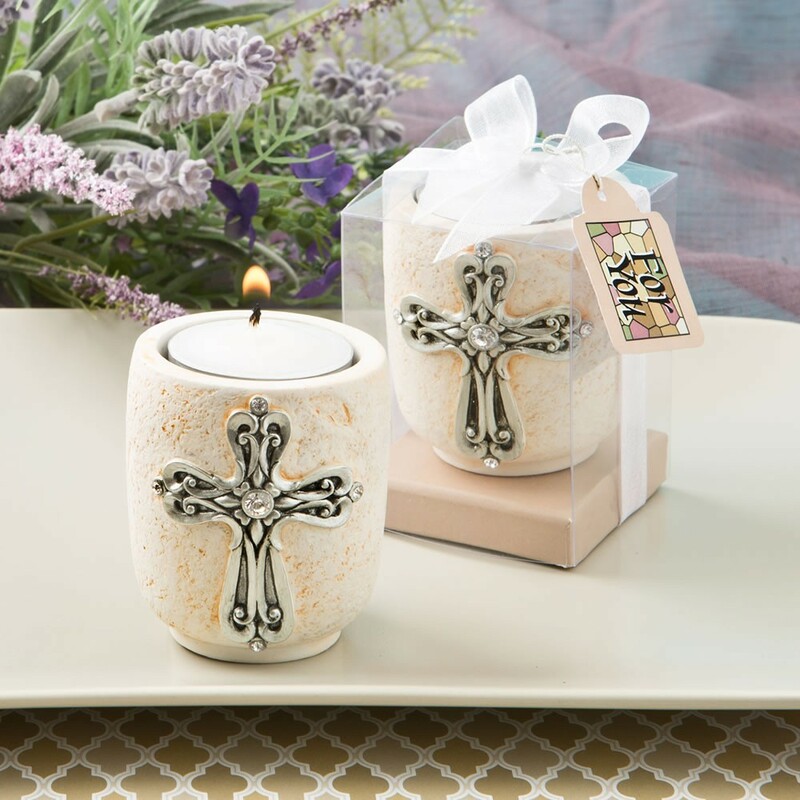 These glorious votives are crafted from a thick poly resin base painted in an ivory color and decorated with a lovely sand stone pebble finish. On the side is a raised cross painted in an antique pewter finish. The cross features beautiful small clear rhinestones on each end a large round clear rhinestone in the center. Included in the votive is a white tealight. A wonderful and meaningful favor for a baptism, christening, communion or other religious celebration!